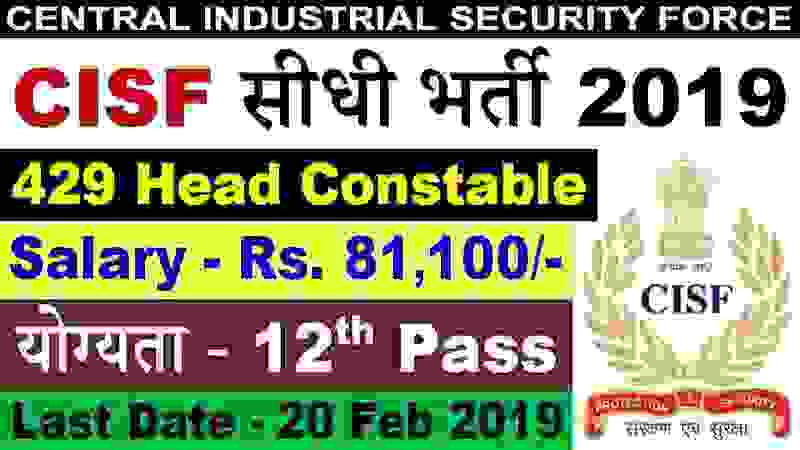 New Government job opportunity for 12th pass candidates in CISF Department under Ministry of Defense. CISF department is looking to fill up 434 vacant positions of Head constables. An official notification has been published by the department on their official website in which they explained the complete process about this CISF recruitment procedure. We tried to explain the complete information related to these Government jobs in India in this job posting. So read the whole information carefully before applying for this recruitment procedure. 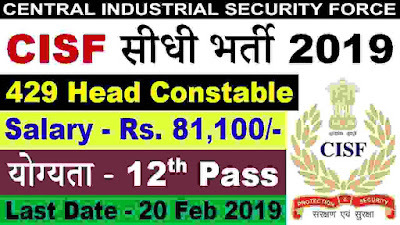 Education: Those who have passed in their 12th class examination from a well-recognized education board can apply for this CISF Recruitment 2019. Age Bond: Must have age in between 18 years to 25 years for applying these 12th pass Government jobs in India. Paying Method: Qualified and concerned applicants have to pay the application fee only through online methods:” Credit Cards/Debit Cards/Net-banking” for the payment of the above application fee for this CISF recruitment process 2019. 20th Feb. 2019 is the Last Date to apply.